Ringing in spring doesn't mean winter collections are out of style, and while I'm late posting this for you, I'm no less excited about the colors in this Winter 2014 collection, Wishes. This collection features three PixieDusts and three untexturized polishes with a few different finishes. What's great about it is how they each come in a pair. There's a blue, purple, and black pair. So I kept the pairings true and did a simple but stunning ruffian manicure with four of the colors. I bumped up the contrast of this ruffian by applying the OPI Matte Top Coat over the PixieDust part. Ready to see them solo? Keep scrolling! 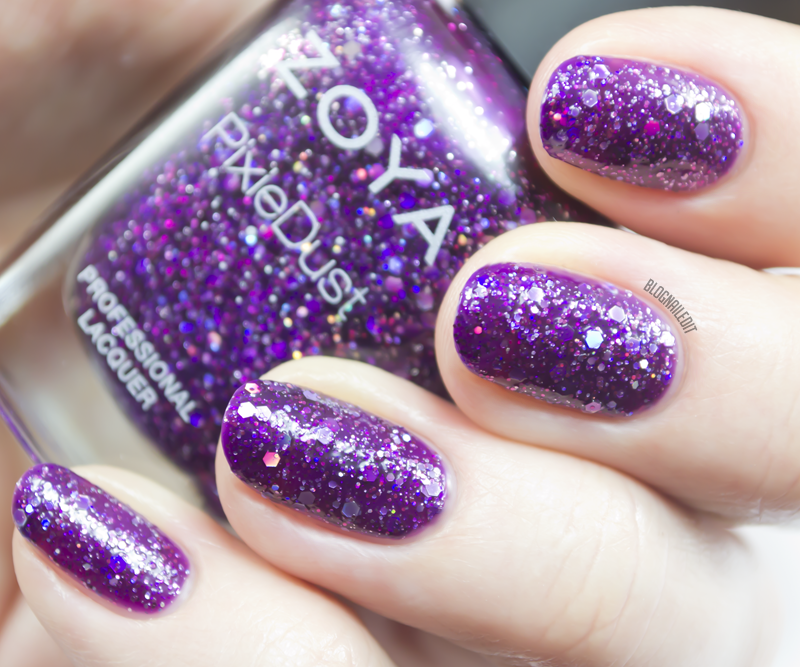 Haven (1-2 coats) is a totally amazing purple foil with a hint of pink shimmer to accent it. The fact that it can cover in 1-2 coats should give you an idea of how awesome it applies. This is hands-down my favorite. Thea (2 coats) is shown here with no top coat. That's the best way to get the ultimate PixieDust-effect, so all the PixieDusts you'll see in today's post won't have top coat. The gritty glitter is a pinky-purple with tons of rainbow iridescent glitter. Prim (1-2 coats) covers amazingly, and although it's a little streaky because it's a foil finish, it's still a perfect periwinkle foil color. Nori (2 coats) is Prim's partner. It's more blue and bold than Prim though. It has a huge amount of rainbow glitter in it as well. Willa (2 coats) is an impossibly dark grey. I thought it was pure black until I saw it in this photo, where you can see that it's not quite pure black. What a gorgeous creme shade! 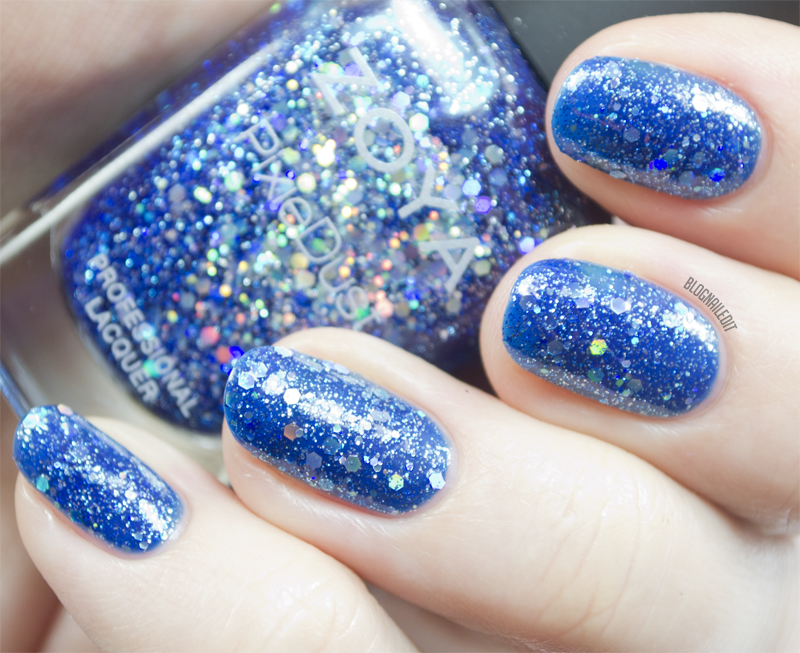 Imogen (2 coats) is Willa's PixieDust pairing. It isn't quite as opaque as the other two PixieDusts in this collection, but the rainbow glitter is over-the-top-abundant, so you hardly notice the jelly beneath. These chic colors certainly aren't traditional spring shades, but they've found their way onto my spring fingers nonetheless. 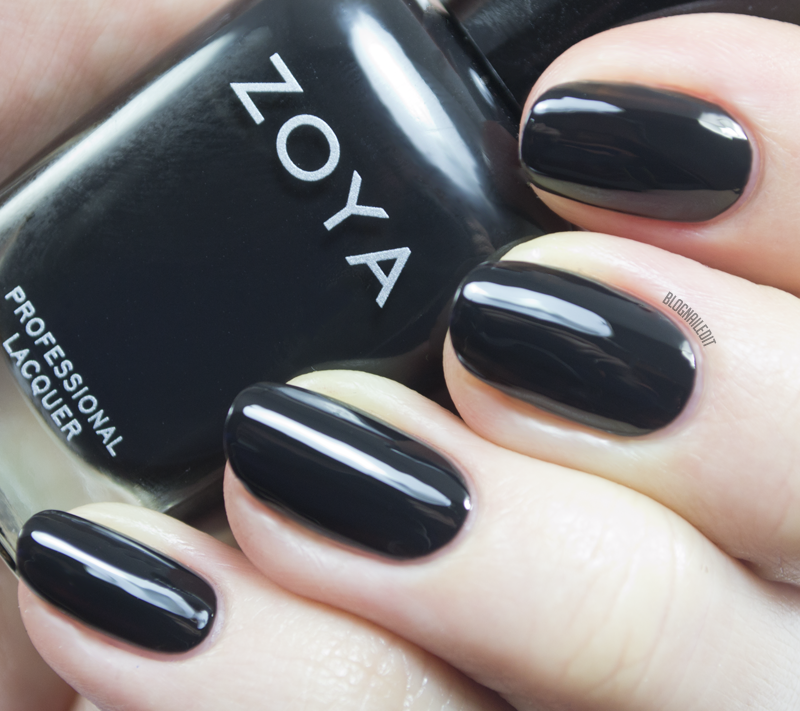 They're available in the Zoya store here!